Keeping at par with the client requirement we offer an exclusive range of Waterproof Tent fabricated from superior grade tarpaulin materials. These waterproof tents are available in different dimensions and colors our range is well constructed and dimensionally accurate. We offer a wide range of waterproof tents that are manufactured in a triangular structure having roof at a steep angle from advanced waterproof fabrics. 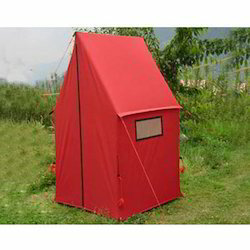 These tents are basically preferred by families for camping, hiking etc. and also used for storage purposes. 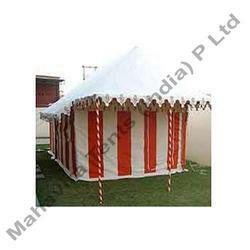 These tents are designed and fabricated in a way through which water can run off easily. To cater the different needs of our precious customers, we are highly engrossed in providing a wide range of Waterproof Tent.